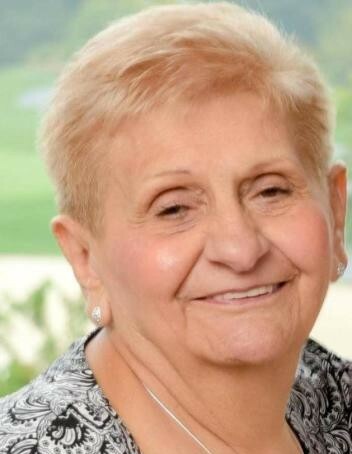 Dolores Grace (nee Iacobelli) Cropper passed away peacefully on March 22, 2019, at the age of 83. Resident of Cape Coral FL and formerly of Lewes, Delaware & Yeadon, Pennsylvania. Dolores was born and raised in South Philadelphia. Dolores was a loving and caring Wife, Mother, Grandmother and Great Grandmother. Dolores enjoyed spending time with her family, cooking, ironing, dancing, and listening to music. Dolores was employed as a cafeteria aide with two school districts in Pennsylvania & Delaware. Daughter of the late Vincenzo & Theresa (nee Cavello) Iacobelli. Wife of the late Robert Cropper. Devoted mother of John Biasiello, Vincent (Michelle) Biasiello, Predeceased by Robert (Tina) Biasiello. Dear sister of Theresa (late Pete), Vincent (Doris), Lucille (Jan), Predeceased by Prospero (Joan), Daniel (Anna), Susan (Joseph), Angelo (Trudy), Maryann and Gracie (Joe). She will be missed by her grandchildren, great grandchildren and many nieces and nephews. Relatives and friends are invited to her gathering Friday, March 29th from 9:30 AM to 11:15 AM at the Logan Funeral Home, 698 East Lincoln Highway, Exton, PA. 19341. Funeral Services will be held at 11:30 AM at the Funeral Home. Interment Philadelphia Memorial Park, 124 Phoenixville Pike, Frazer, PA 19355.